Don’t forget that this Saturday, April 5th, from 10am to 1 pm in the Community Room there will be a robotics competition exhibition at the Area 30 Career Center in Greencastle. A flyer for the event describes a little more on it and the public is welcome! Club Cyberia, a Makerspace in Indianapolis, is having an open project day this Saturday from 1-6 pm. I’m heading over to visit & to learn more about how their model works – update later! 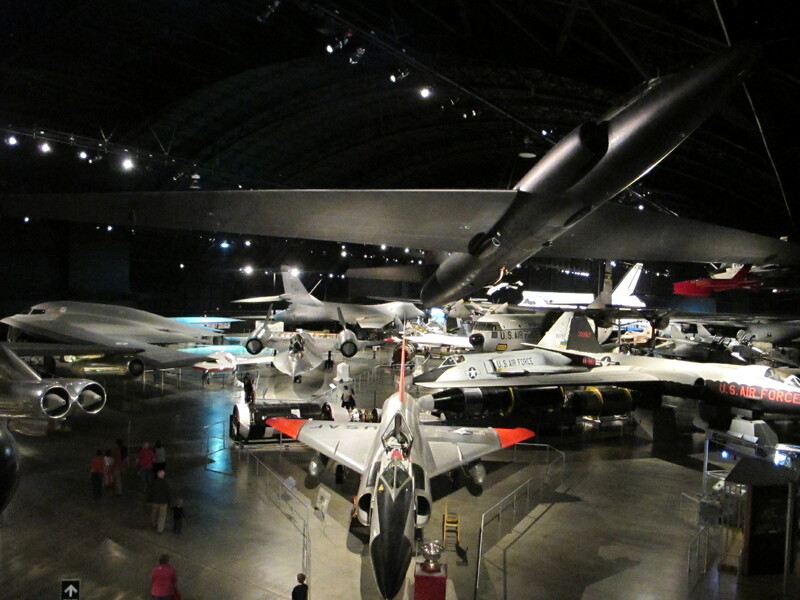 There’s an incredible aviation exhibit about 3 hour drive from Greencastle – the National Museum of the US Air Force. Well worth the drive, it’s just slightly east of Dayton and south of I-70. It’s been decades since I was last there & full of technology and just general “Wow’s”. They have over 350 actual planes organized by era in 3 gigantic hangers with some smaller building additions for more displays. One of the ‘smaller’ building displays, the space exhibit, holds several Titan missiles along with a Mercury and Gemini capsule plus cool spacecraft ‘accessories’ on the way to that building. I didn’t realize they had a space shuttle there, check out the viewing port if there with the onboard toilet (some view!). There’s also a smaller outside display of aircraft and a WWII control tower. Insider tip – the presidential gallery tour (located on the base not at the museum) fills up early. You have to register for this & we missed it, takes a shuttle bus to get there. One highlight is the John F. Kennedy Air Force One plane in use when he was assassinated. 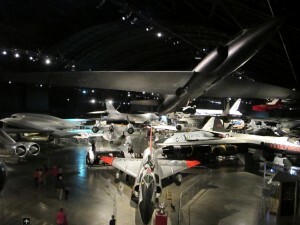 Admission is free, except for a charge for the IMAX theater movies if you do that but it does go to the museum. There are kid friendly things to do (try the scavenger hunt & walk inside the space shuttle), they also have bigger STEM / kid oriented events on certain weekends. An upcoming one that looks promising is the annual Spacefest 2014 on May 16-17. And while you’re in the area if you’re interested in surplus/source materials to build things I went in one of the most amazing places I’ve ever been for that – Mendelson’s Liquidation Outlet in downtown Dayton. Heard about it many years ago at one of the ARRL/Dayton Hamvention events but never had been there. I’m still speechless about the ‘stuff’ in that place (and yes the picture is correct that’s a 6 story building – another one seems to be across the street too not in that picture). One of the goals of this blog is to help let folks in the Putnam County Indiana area find out about STEM (Science Technology Engineering Mathematics) experiences and learning opportunities in the area – for both young and old. You may have missed the Rube Goldberg competition at Purdue less than an hour north of Greencastle a few weeks ago – it wasn’t publicized very well but fun to watch for those that made it. There’s another upcoming opportunity on April 12 & 13 at Purdue, their annual Spring Fest. If you’re into insects, I’ve heard it’s not to be missed but it’s much more than that. Free and targeted at families & children of all ages, it’s has lots of hands-on learning from many of the different science and engineering colleges at Purdue. Their flyer perhaps describes it best. One special event this year not mentioned in the flyer will be a reunion Saturday night of NASA astronauts that graduated from Purdue at 7pm Saturday night. Eight astronauts are listed for the event currently! Many years ago while at the Osh Gosh airshow I walked into a session where they had an astronaut from each Apollo mission telling stories about their trip – one of the most amazing lectures I’ve ever heard. If it’s anything like that you won’t want to miss it!! BTW, in case you’re into Rube Goldberg contraptions there’s some info on the Rube Goldber website about the competitions, turns out they have high school teams competitions besides the collegiate level events. 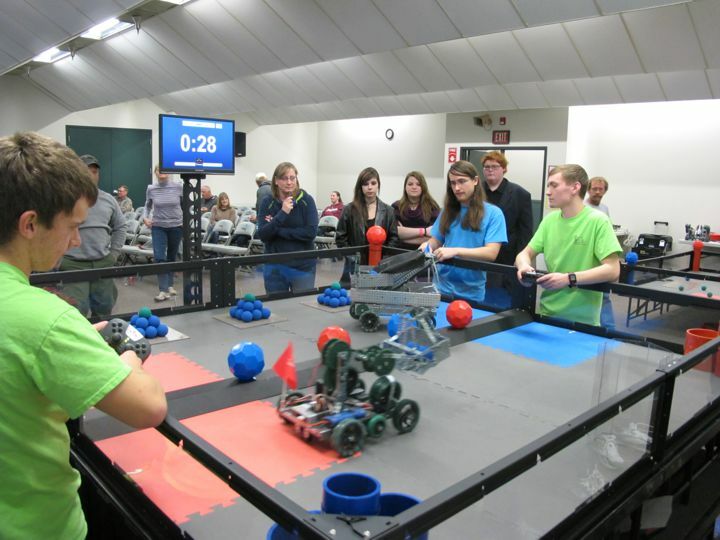 If you missed the First Robotics Crossroads Regional Competition over in Terre Haute last weekend, there’s an even closer robotics event right here in Putnam County. Area 30 Robotics Club is hosting a exhibition competition on April 5th. You can read more about it in their Email Flyer. There’s more about the club itself on their website. Build things to have fun! Connecting together people in the Putnam County and surrounding area so they can share their idea, their experiences, and help each other to build. And maybe learn something new in the process. Encouraging Innovation in our area. But more on that later, in the meantime please start checking this blog if you’re interested in Innovation, local STEM events, and our developing Makerspace organization.